In yesterday’s post I mentioned what Shades are going to be on trend this season, today I thought I would show you which Celebs were spotted out and about in the new winter trends. 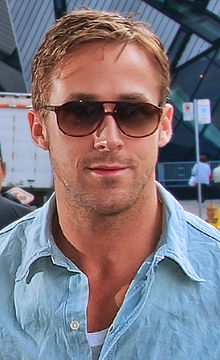 As mentioned yesterday the Ray Ban aviator is going to be big this season, and the celebs are loving them. We spotted our favourite friend Jennifer Aniston out in Ray Ban 3025 looking as usual effortless and glam at the same time. Also spotted in Ray Ban is the nations favourite Woman at the moment (Apart from of course her Sister) Pippa Middleton. She has been the talk of the town recently after rumours circulated about upcoming wedding bells, how exciting another sort of Royal wedding we will all be glued to see what the dress is like. The rumours also consisted of her telling off Prince Harry and calling him a ‘Teenage Chav’ and that he should act more like ‘a real man’ she certainly has guts! She was spotted in a larger Ray Ban aviator the 3386 and as usual looked amazing!! For the men out there a lot of celebs are being spotted in Carrera Sunglasses, these are going to be huge this season and definitely worth putting on your christmas list! We spotted Ryan Gosling out and about in his Carrera Shades, looking very scrummy, who knew he also started out as a Mouseketeer alongside Britney Spears and Justin Timberlake! So run out and grab your on trend shades, give yourself a winter glow! This entry was posted in Celeb Sunglasses Spotter! !, Style and Trends, Uncategorized. Bookmark the permalink.